“Go back to what our founders and our founding documents meant — they’re quite clear — that we would create law based on the God of the bible and the ten commandments.” [sic]. You can link to an article here discussing the Palin interview along with video of her appearance. 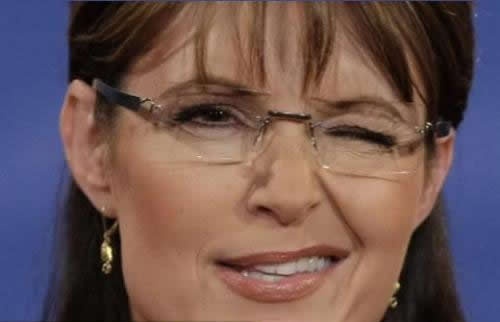 Today, I wrote an article for Instablogs.com responding to the idiocy and hypocrisy of Palin’s statements. I invite any of you who are interested to link to my article here. “It is… proposed that I should recommend, not prescribe, a day of fasting and prayer…that I should indirectly assume to the United States an authority over religious exercises which the Constitution has directly precluded… It must be meant, too, that this recommendation is to carry some authority…to be sanctioned by some penalty on those who disregard it; not indeed of fine and imprisonment, but of some degree…perhaps in public opinion…Civil powers alone have been given to the President of the United States, and no authority to direct the religious exercises of his constituents.” –Thomas Jefferson to Samuel Miller, 1808. ME 11:428. I don’t know about you, but I am mighty tired of self-righteous, bigoted, hypocrites like Sarah Palin trying to tell the rest of us how to live our lives. How about you?